So there was all that: the ordinary twill of life; the ho-hum sturm und drang of the workplace: the ubiquitous absurdities, the annoying co-workers, the bloody deadlines and even bloodier bottom lines; the bland, eternal, Sisyphean, absolute, unrelenting, surreal certainty of the day-in-and-day-out of it all. Life as a slice of white bread, moistened with spit and rolled into a messy glob, a doughy ball that couldn't make the slightest dent in the iron gates of life. But then, suddenly, on August 27, 2002, all that changed. Suddenly, Rae-Jean's uneventful life began to leaven and swell with hypotheticals. 'What if' grabbed a hold of it and pumped it a few times in its death grip. 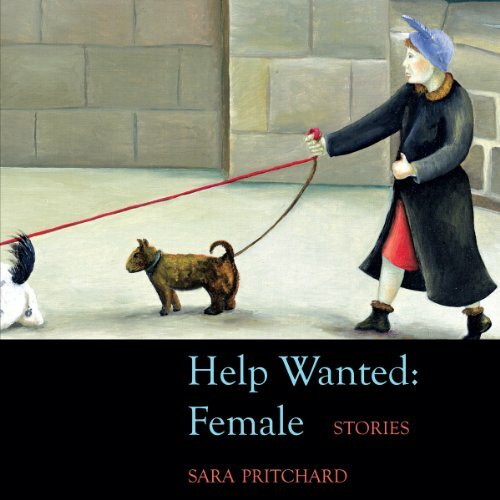 The world in Sara Pritchard's audiobook is a known world and yet a strange place, with a cast of homeless characters who wander in and out of the stories of the collection, all set in the same university town. The linked stories take place during the time when gender discrimination in the American workplace was blatant, and when classified ads were labeled "male" or "female" accordingly. What did you love best about Help Wanted: Female? Sara Pritchard's characters are always just off center, always unexpected. Her storied sparkle with humor, even as they tug at your heart. What was one of the most memorable moments of Help Wanted: Female? The woman whose husband leaves her suddenly for his partner's widow - with whom, it seems, he has fathered two children. She finally manages to deal with her anger through an unlikely friendship with an elderly neighbor. What about Sara Pritchard’s performance did you like? Ms. Pritchard's performance is not conventional. She is not an actress or orator, but her sweet delivery and obvious delight in her stories is infectious.